Interesting re Great Canadian Baking Show...in the tent, I can understand what the range of challenges may be, but the interview singles are really odd. At first I thought it was a post issue, but upon listening to it again I wonder what boom mic was used for those pieces. Year after year, I am gobsmacked by the audio quality on the The Great British Bake-off, some of the best audio work of all the reality shows that I watch...I always figured that if I were to spend $ on a purely educational trip, I'd want to watch whoever does the GBBO. 633 and six wired lavs? Unless you are stationed far away, I can't imagine you'll have dropout problems with lectro transmitters here...I use the FreqFinder app to avoid intermod problems, and spread over two blocks you won't have problems. Regardless, you can't go wrong with wired if they aren't up and down. Your dual 633 plan will work, and Dugan will definitely help. But to simplify, I would plan for all 6 on one 633 using wireless, but have the other 633 as backup in case you do have wireless problems. Audio Services Corporation (Canada) is taking orders for the custom MZF, yay! Hello! Question for everyone doing a balanced mix of scripted and commercial/corporate gigs, who owns either an MKH-70 or 8070: How often do you use this mic? Every blue moon, I wish I had something with alot of reach and very directional, more than my 8060. Whenever that happens I think about the MKH-70, but from a practical perspective I wonder about the indoor limitations of the mic...it seems like a very specialized weapon to me, and isn't hugely portable (requiring a much larger blimp or mount). Every sample and review tells me this is clearly a great sounding mic in the right environment, but I wanted to get opinions on usage and practicality (in relation to the cost). Here in central Canada, I'm not doing alot of beach scenes 😉 Anyone here using this mic with any sort of frequency? Thanks! "Best lav mics on the market" list...um, no. Your own articles opening statement: "So what is the best lavalier mic on the market? 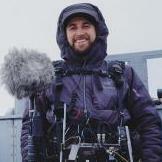 This article outlines what we believe are the best lav mics out there and covers the best wireless lavalier mics for all kinds of filmmaking and video production projects." Sorry, but either that is entirely deliberately misleading and definitely not worded to inform the beginners for a starting list...or it is the intro to a lazily researched article from a 'professional' that will result in your readership making poor choices. The ME-2 on that list is the dead giveaway that this is poorly researched: it is a terrible mic for the cost...An Oscar TL40 is a much better and cheaper mic. (the only respected mic on that list might be the Sony ECM). If you had asked any working sound pro to provide recommendations to help strengthen your article, they would likely advise your readership that cheaply made radio and lav gear costs so much more...it just doesn't scale well. Unreliable lav/radio gear will have enough dropouts, hits, cable noise, delay, and simply poor quality sound to actually cost you money in frustrated clients or the inevitable gear upgrade (to kit you didn't include). The money spend on a $300 radio/lav channel will go much further on other gear that scales better (improved shotgun mic, shockmounts, wind protection, boom poles etc). In the world of lavs and radio, there is no real 'entry' vs 'pro' gear: there is "unreliable POS" vs "varying degrees of much better'. A way to greatly improve the article is to plainly and clearly state the scope and audience at the beginning ("I'm recommending low-end gear that might work for a beginner ie nobody charging clients any $"), and then if you insist on saying "best" anywhere at least being accurate in listing the true industry standard kits, even if it is a side mention. I'm giving you the benefit of the doubt here and assuming this isn't simply a list created to generate income with your links. Of course, people making money doing exclusively sound work don't actually care about this much...when one-person videographers use crappy sound gear, the rest of us end up making money in the end. But presumably it's your videographer audience, who have to concentrate on the camera work and hope that the unmonitored audio is working well, are the ones who may be most influenced and mislead by articles like this. 2 Lectro Wireless on the same block? When I first bought the chest strap, I thought it would be a convenient way to reduce rustle noise on a hairy chest. It does that a bit, but there are usually better ways to deal with it. What I use it for primarily now is hiding the mic cable, which it does a very good job at. Thanks for the information and explanation. A +18dB/oct version would be great to have, I hope the prototype you tested also had the -10 pad. Looking for some practical advice and insight... I own a Sennheiser 8060 and I use this fairly often, particularly for outdoors but also for wides indoors when my MKH50 won't quite reach. I've always struggled to find a suitable indoor shockmount that I like: the mic has a long front end, is very sensitive to swings, and all this makes finding adequate indoor 'wind' protection a challenge. The best solution so far has been the Bubblebee Windkiller, but even with the Sennheiser MZF8000 filter capsule, the fit isn't quite right and either the sound is coloured too much or there is some noise created. I have MacGyver'd a shockmount using Rycote lyres to try to accomodate the Bubblebee, but it still gives me hassles. So I called Trew to discuss options, and the Cinela Cosi came up in the discussion. Despite the price, I'm pretty enamored with the design. Turns out, there is a new COSI designed for the 8060, with its 19mm diameter and peculiar length BUT it won't work with a MZF8000 filter attached. Now, this filter is almost universally used by 8060 users...I like the gentle high pass filter by often I really like the -10 db pad (for when actors feel it necessary to scream). Turns out that Cinela didn't design for the MZF filter because they don't like it...from their COSI pdf notice: My typical setup for this mic is to connect it to my Lectrosonics HM on the end of the boom, and record onto my 633. My (perhaps incorrect) understanding was that if I applied the HP filter at the mic, there would be more efficiency for my Lectrosonics (ie saving battery power), and that I could apply futher HP on my 633 on the fly if the circumstances warranted. That's how I've been doing it for dialogue work (not environment and sound effects). But the info and notice from Cinela have me second-guessing things a bit. I can use the HP filter on the Lectro plug and not bother with the MZF8000, but there are times when that -10 pad is very useful (and when I need it, there is not usually time to switch out mic housings). And maybe I haven't been applying my HP filters in the most effective manner. At times like this, I miss the granular filter setting of my old 744t. Anyone else gone down this rabbit hole with this gear, or have any suggestions as to what I should do? Are the benefits of the COSI worth it in this case, or should I be looking at another product to mount my 8060 with? Thanks! Thanks everyone for the suggestions! Solution found (via a dude on FB): "Make sure that the level is up. Use left rotary knob to go to X1 and press then turn it to the level you require. This started happening to me in the last update with the Auto-Mute."